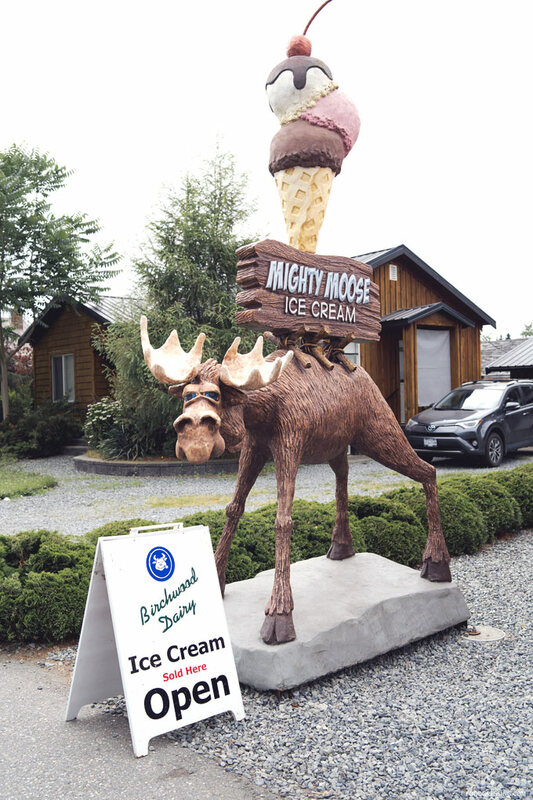 Last summer, Mister Artisan Ice Cream had to be temporarily closed for repairs due to a flood. There was a void in my foodie heart (and in my freezer) as I could not enjoy ice cream from one of my favourite ice cream purveyors in Vancouver. But now, my heart is whole again as Mister is reopening this Saturday, February 2 at 2 pm with crazy new flavours and deals for customers. I had the chance to preview these new offerings at a media event. 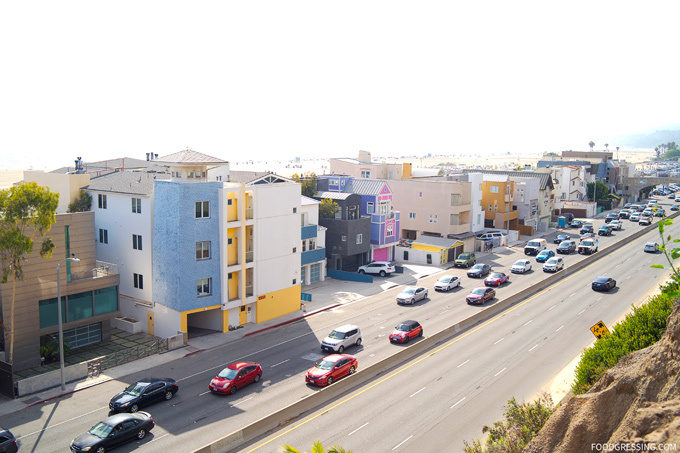 Here’s a look at what you can expect. I really enjoyed the complexity of this unique savoury ice cream sandwich flavour featuring a regular vanilla ice cream and chocolate-dipped sandwich rolled in Cheetos. You’ve got the addictive, spicy, umami flavour of the Cheetos which is soothed by the creamy and sweet vanilla ice cream. You’ve basically taking your taste buds on a trip with this one. 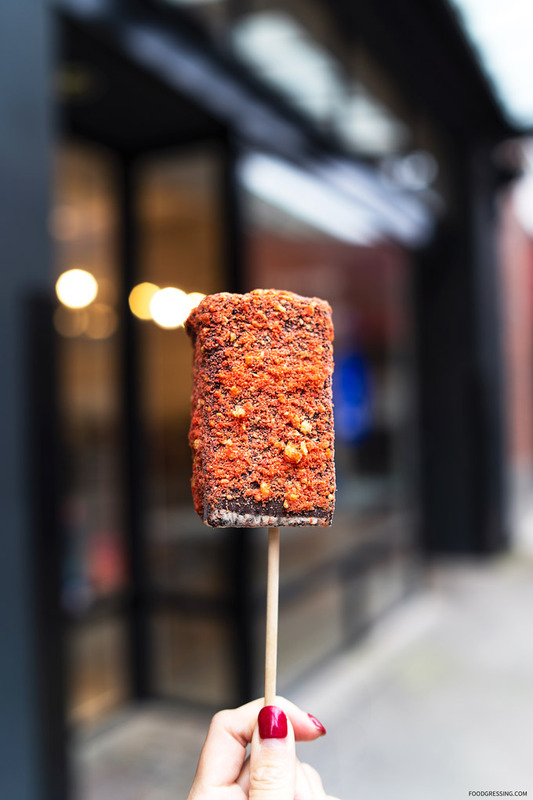 This creative treat has Cheetos-flavoured ice cream with Cheetos chunks and sandwiched between Cheetos sides. The Cheetos-crusted sides are really crunchy while the Cheetos chunks within the ice cream give it some extra textural contrast. 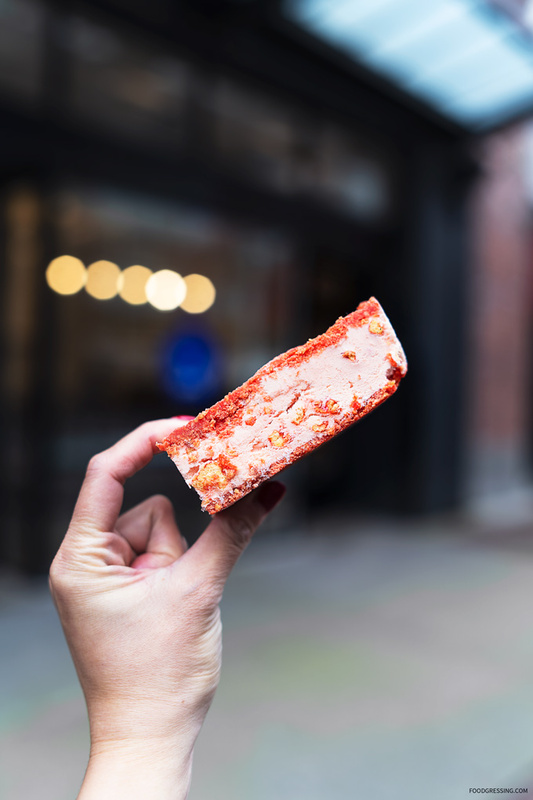 I like it for its novelty factor but I like the Flamin’ Hot Cheetos Crusted Ice Cream Sandwich more because it has a sweeter finish. This is like where ice cream and Ritz crackers had a baby. The Ritz flavour is definitely there but not overpowering. 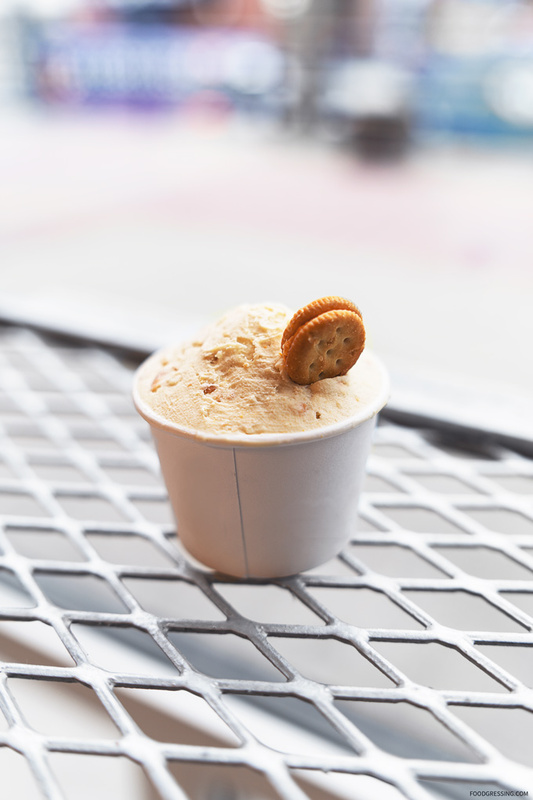 It’s light, buttery, cheesy, creamy and enjoyable in an ice cream format. As I’m somewhat lactose intolerant, I love a good vegan ice cream. Mister’s new vegan ice cream flavours really hit the spot with the Dark Coffee and Hazelnut. The Hazelnut was wonderfully nutty and earthy and went well with the coconut flavours. Both were good but I would love to have a pint of Hazelnut in my fridge. 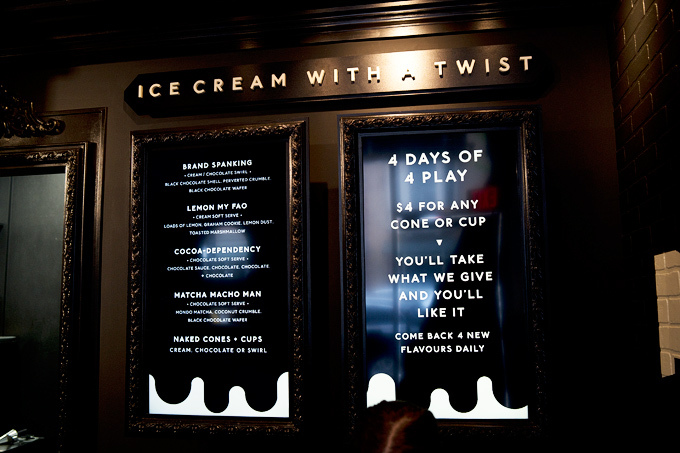 Aside from these limited edition flavours, Mister will also be offering cheap $5 pints and $3 ice cream sandwiches. It had been a few years since I last tried 720 Sweets, a local dessert shop chain known for their smoke-emitting soft-serve ice cream. They first started out with a shop in Kitsilano (see previous review here) but has since expanded to two locations within T&T Supermarket (Richmond and Metrotown) as well as another standalone store on Kingsway. 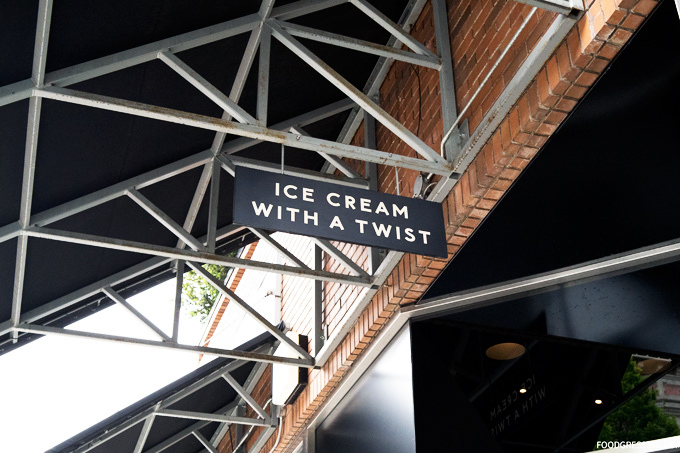 I had received a gift voucher from a media event for a complimentary ice cream a while back and decided to use it at the 720 Sweets location attached to T&T in Metrotown. 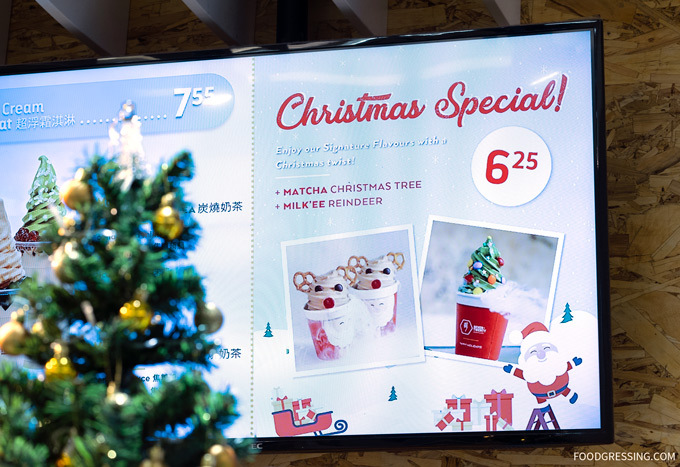 This holiday season, they are offering two Christmas Specials: the Matcha Christmas Tree and the Milk’ee Reindeer ($6.25). I decided to go with the Milk’ee Reindeer which features milk tea soft serve ice cream with pretzel antlers, chocolate eyes and a raspberry nose. The whole 720 experience starts off with dry ice and water being placed into the bottom of the soft serve cup. As the dry ice undergoes sublimation (solid to gas), a smoke is emitted. The dry ice is purely a visual effect for the dessert. 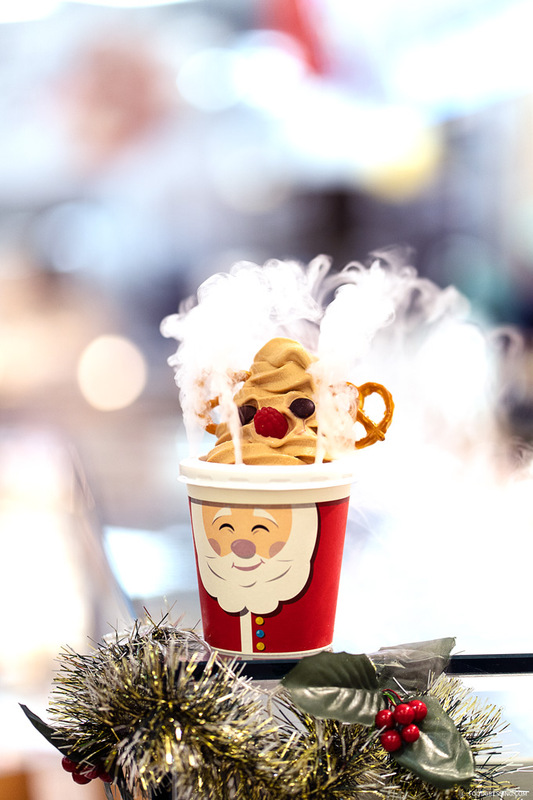 The soft serve sits in an insert within the large cup to accommodate the dry ice. The dry ice really helps to keep the soft serve cold and from melting too quickly. From the taste side, I thought the milk tea soft serve flavour was not too sweet but a bit on the mild side. The texture of the soft serve is also a bit firmer and less melty than a soft serve without dry ice. On the presentation side, the swirl could have been better. It was a bit lopsided unfortunately. 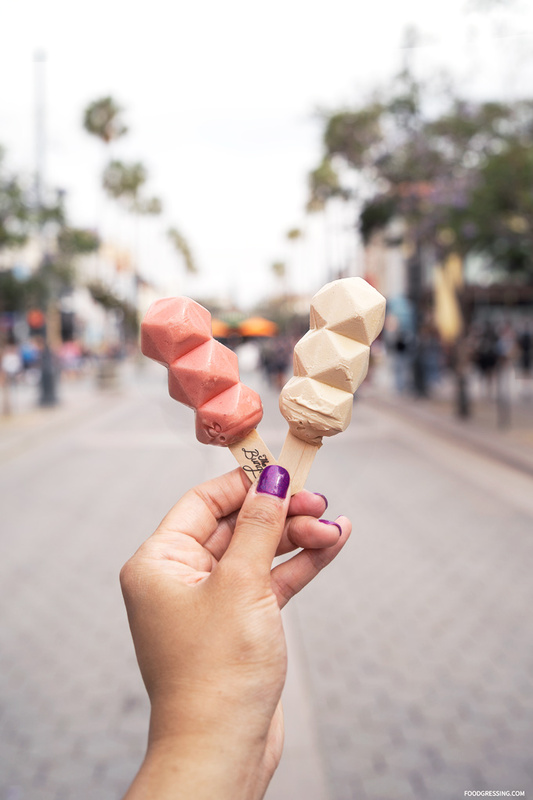 On my trip to Los Angeles, I took the opportunity to try out Dream Pops: vegan, 3D printed ice cream popsicles that have been an Instagram sensation. 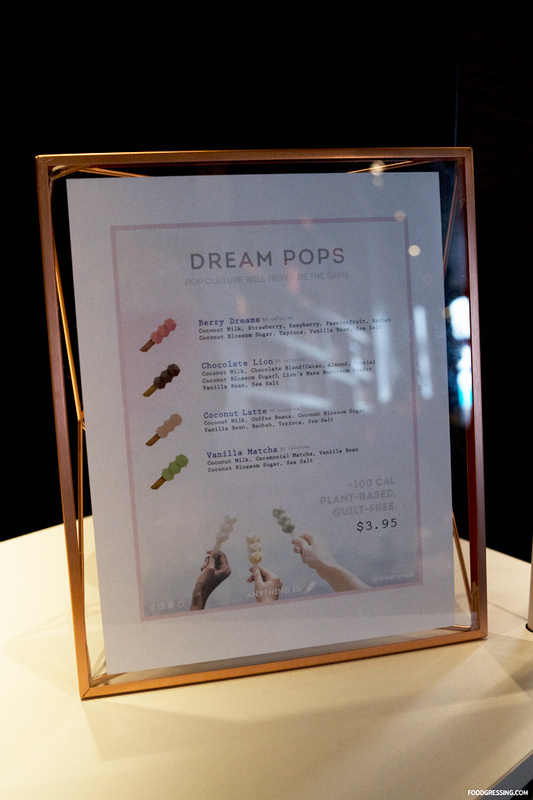 Starbucks was offering Dream Pops as part of a special collaboration at select locations in LA and I visited the Third Street Promenade store in Santa Monica to try them out. Note: This post is not sponsored. This review was done anonymously. 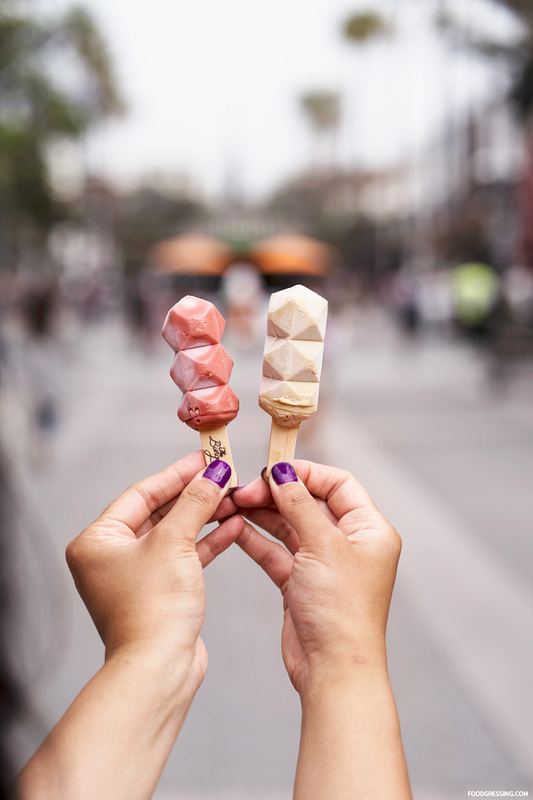 Dream Pops were created out of an LA startup and they are plant-based ice cream popsicles that are made with fruit and superfoods (depends on the flavour). Geared towards the health conscious, Dream Pops are coconut-milk based and are dairy, gluten and soy free. They are under 100 calories with no artificial additives or stabilizers. Their futuristic shape comes from being made out of 3D printed molds and apparently their design has an ergonomic touch to prevent sticky fingers. In addition, their recipes were developed in collaboration with a three-star Michelin chef. Quite the story for a clean, plant-based popsicle! 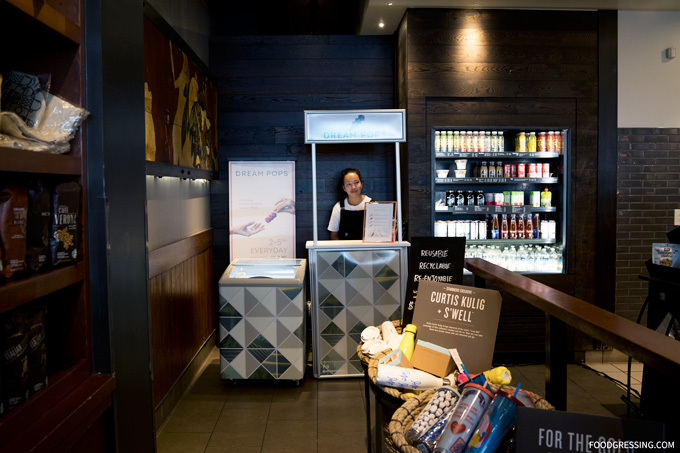 Inside Starbucks, a Dream Pops kiosk was set up at the back of the store. You can select the Dream Pop(s) you want and pay at the front. At the time of my visit, the following flavours were available: Berry Dreams, Chocolate Lion, Coconut Latte, and Vanilla Matcha. Priced at $3.95. The popsicles were individually wrapped and came in colourful packages with geometric patterns on the front. The Vanilla Matcha ran out so I went with two other flavours: the Berry Dreams and Coconut Latte. To start, I quite enjoyed the creamy consistency of the pops. 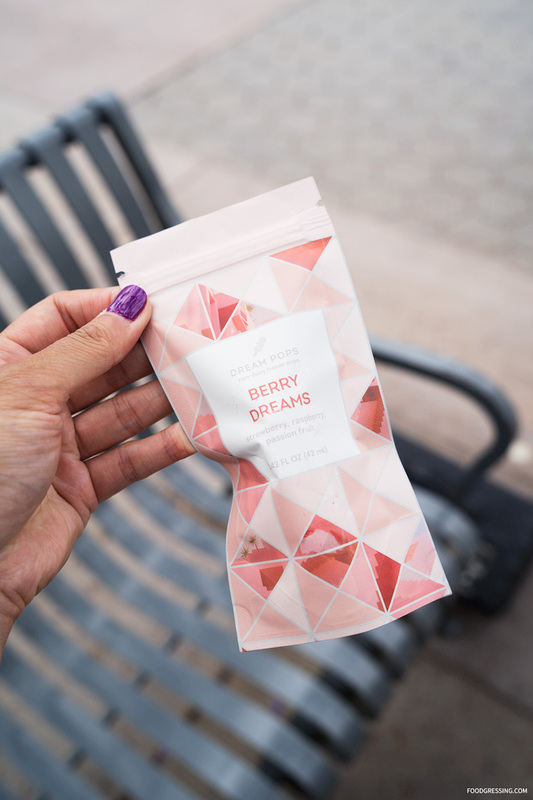 The Berry Dreams is essentially a fruit medley (strawberry, raspberry, passionfruit) and had a texture quite like a sorbet. It had a very nice sweet and tangy flavour. The Coconut Latte was very smooth and tasted just like a coffee with coconut milk. 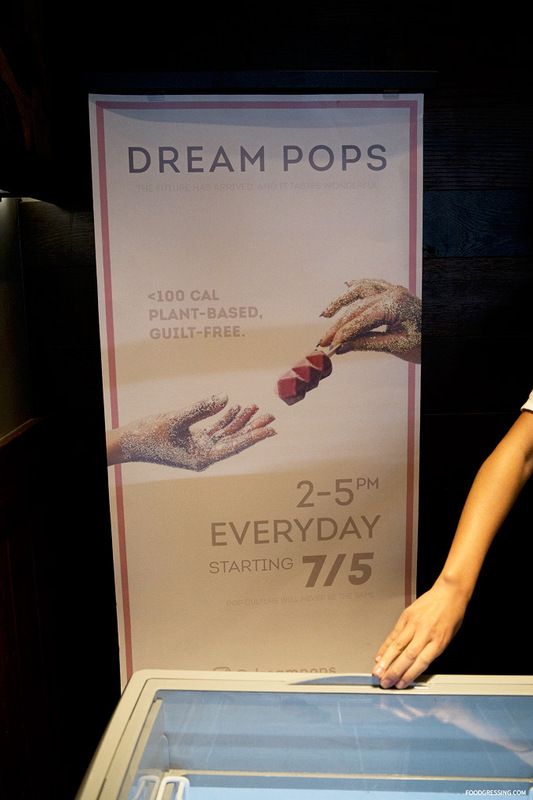 Dream Pops are now available at five Starbucks locations in the greater Los Angeles area from 2 -5 pm until Oct. 5. 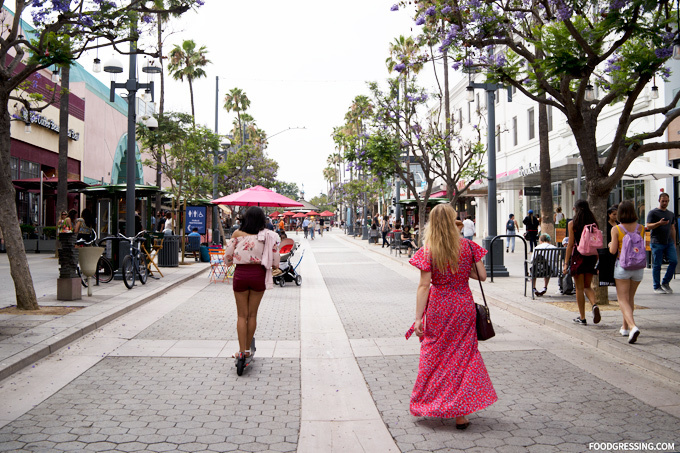 The five LA locations selling Dream Pops are at La Brea and 4th, Melrose and Stanley, Santa Monica’s Third Street Promenade, Wilshire and Santa Monica, and San Vincente and Barrington. 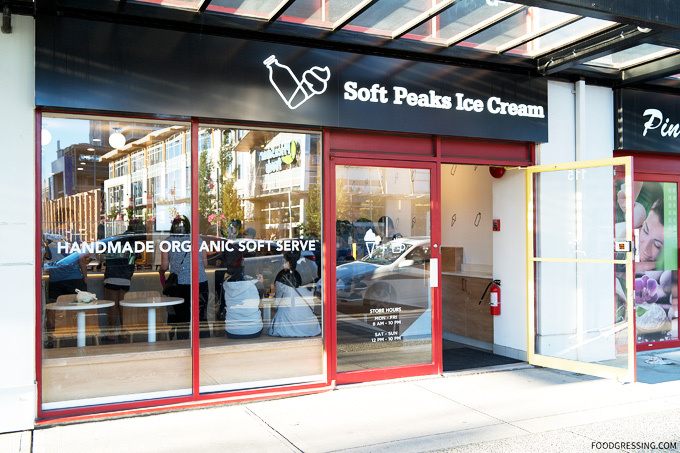 Popular Gastown-based soft serve parlour, Soft Peaks Ice Cream, opened a second location in Burnaby this past April. 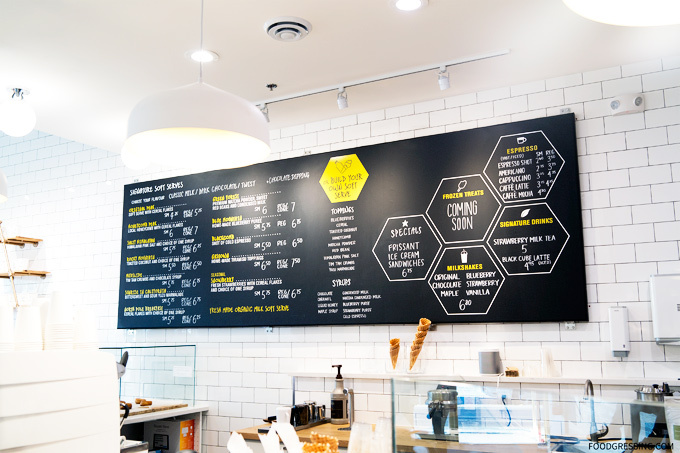 The popular dessert spot which opened in 2015 is known for their handcrafted, organic ice cream creations made with Avalon organic milk and creative toppings like locally made honeycomb, Himalayan pink salt and more. After enjoying dinner at Dinesty on Friday night, we visited Soft Peaks for some dessert. It had been a while (see old post here) since I tried Soft Peaks and I was eager to have some of their soft serve again. Note: This is not a sponsored post. None of the food in this review was complimentary. This review is done anonymously. 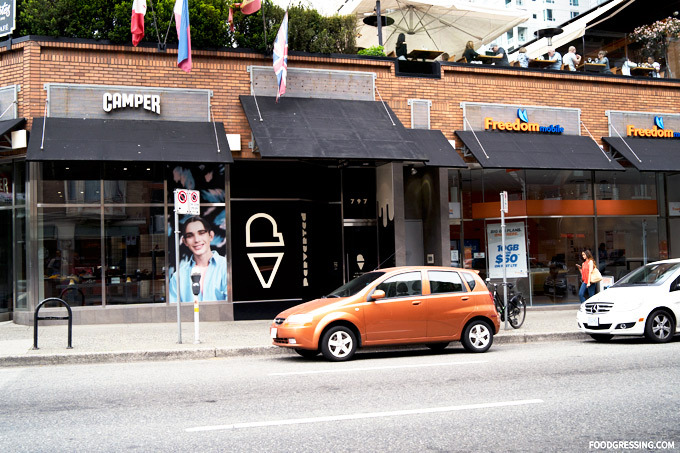 Soft Peak’s Burnaby location has been reported to be double the size of their Gastown shop. 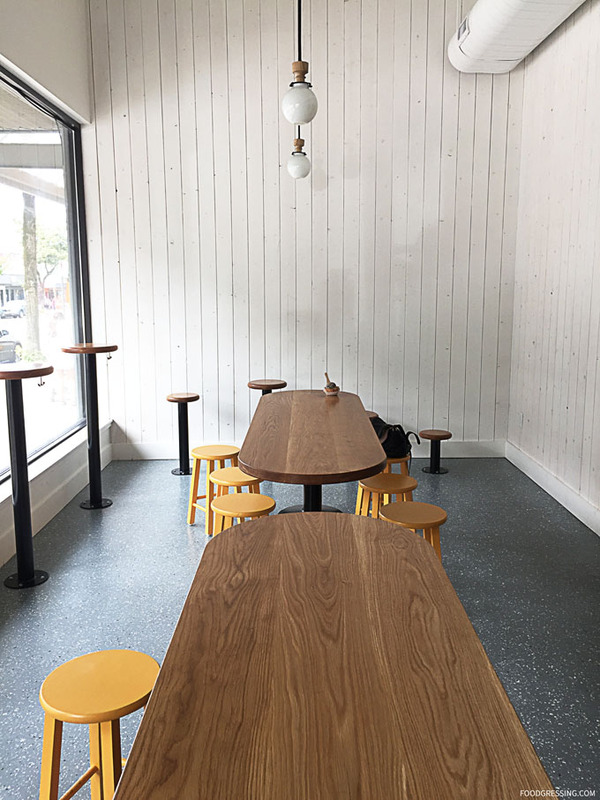 There are a few dining tables near the front of the cafe, bench seating along the wall, and more tables at the back. 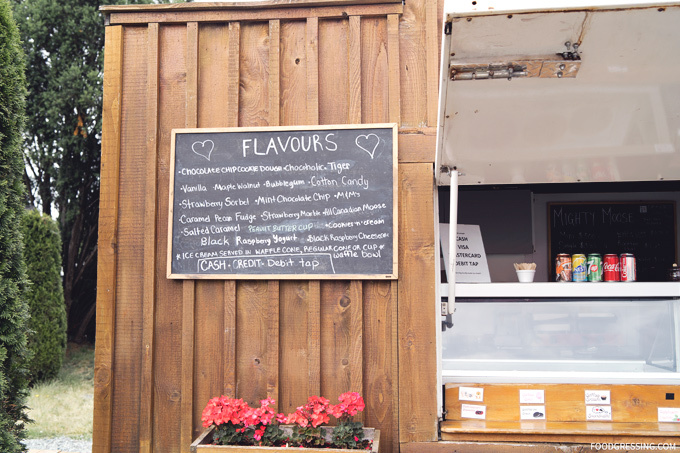 On the menu at Soft Peaks Burnaby are their signature soft-serve creations. The signature creations differ by toppings and syrups but you get to choose your soft serve flavour (classic milk, dark chocolate or twist). The desserts are mostly priced between $6 for a small size and $7-$8 for a regular size. 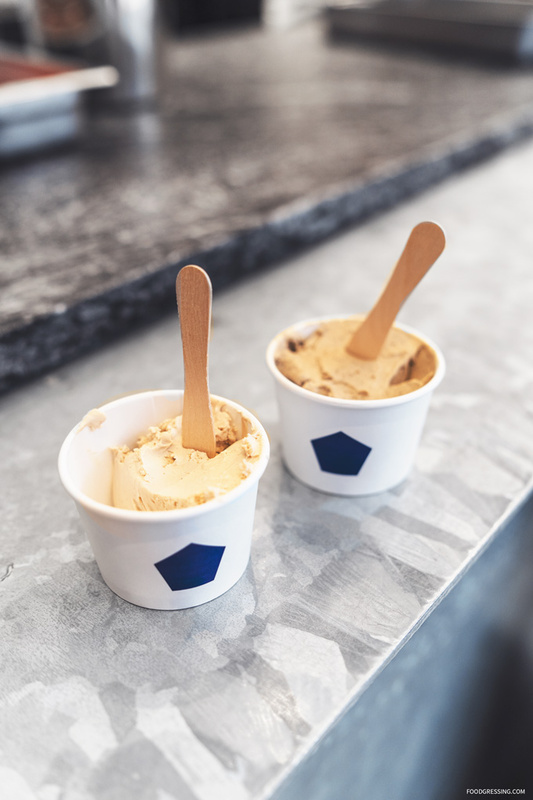 Cups are available for either small or regular, while cones are for regular-sized only. 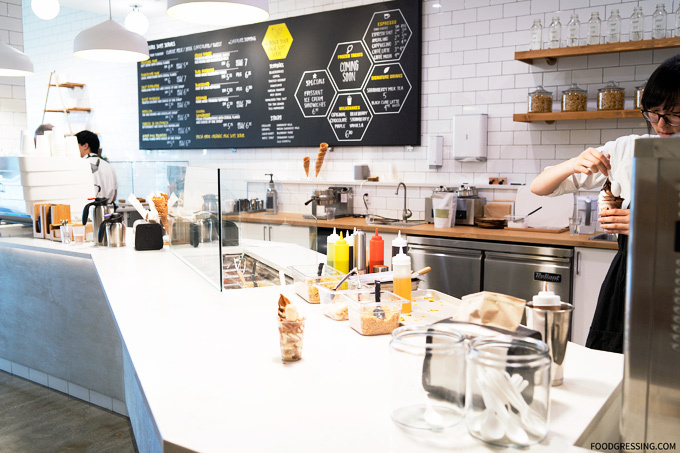 If you also feeling adventurous, you can also opt to build your own soft serve and customize it with toppings (like yuzu marmalade, red bean, and more) and syrups (like liquid honey, matcha condensed milk and more). Also available at Soft Peaks Burnaby is an espresso-bar serving Milano Coffee. 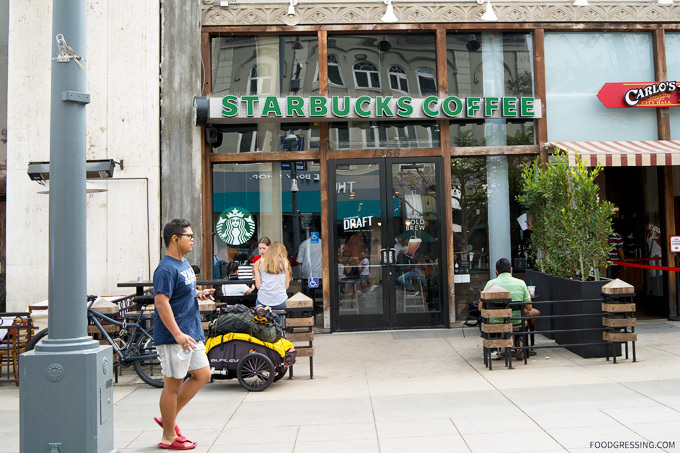 Their drinks offerings include an Espresso Shot, Americano, Cappuccino, Caffe Latte and Cafe Mocha. A few non-espresso signature drinks are also on the menu: the Strawberry Milk Tea and Black Cube Latte. 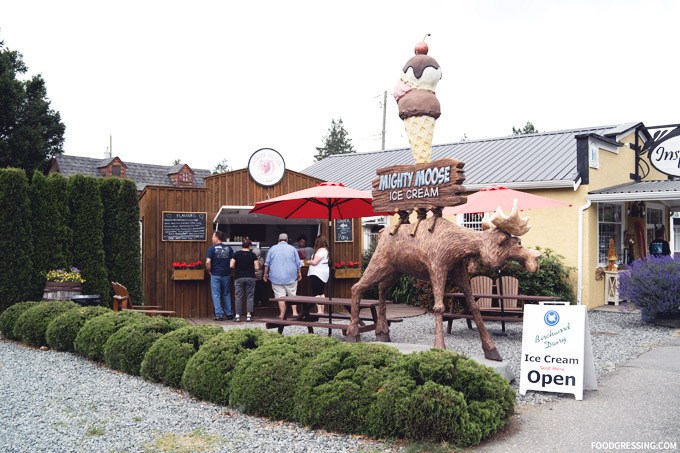 Unique to the Burnaby location is the Frissant Ice Cream Sandwich. Created by The Swiss Bakery, the Frissant is somewhere between a fritter and a doughnut. This is sandwiched around the soft serve and syrup of your choice. I came to Soft Peaks to specifically try the Frissant Ice Cream Sandwich ($6.75) and it did not disappoint! 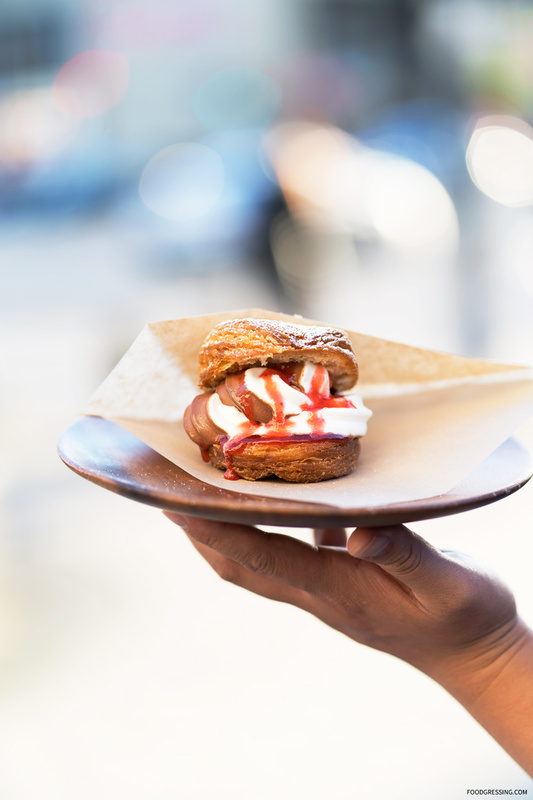 The Frissant Ice Cream Sandwich had previously received unfavourable reviews as customers had complained about the Frissant being “stale.” However, in an Instagram announcement last month, Soft Peaks noted that they improved on the quality of the Frissant. I can certainly attest that it is wonderfully butter, crispy and flaky. The soft serve did melt rather quickly but Soft Peaks did mention in their Instagram announcement that their soft serves melt faster when served in Frissant Sandwich as compared to when served in a cup or cone. I went with the original/dark chocolate soft serve twist with a strawberry puree syrup and loved how everything was satisfying but not overly rich and sweet. In all, I very much enjoyed the Frissant Ice Cream Sandwich as compared to the too sugary Churros Ice Cream Sandwich I have had from Hugo’s Churros. Attention ice cream lovers! Artisanal ice cream parlour, Mister, in Yaletown is celebrating their 2nd anniversary with a brand new treat: Coconut Ice Cream Float. Disclosure: I received a complimentary Coconut Ice Cream Float at a media event. 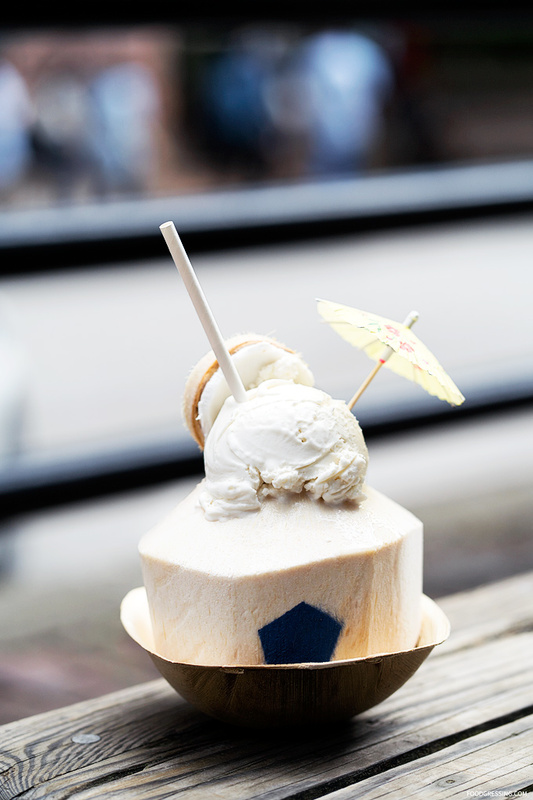 The Coconut Ice Cream Float is Mister’s coconut ice cream 2.0 served on top a freshly opened young coconut. Customers then have the option to mix the ice cream into the coconut water for a float-like experience. Served with an umbrella, of course, for the ultimate Instagram-worthy photo! Available for one day only on Saturday, June 16 and priced at $8. The first 50 customers will get one for FREE! The product is limited so come early. Doors open at 1 pm. 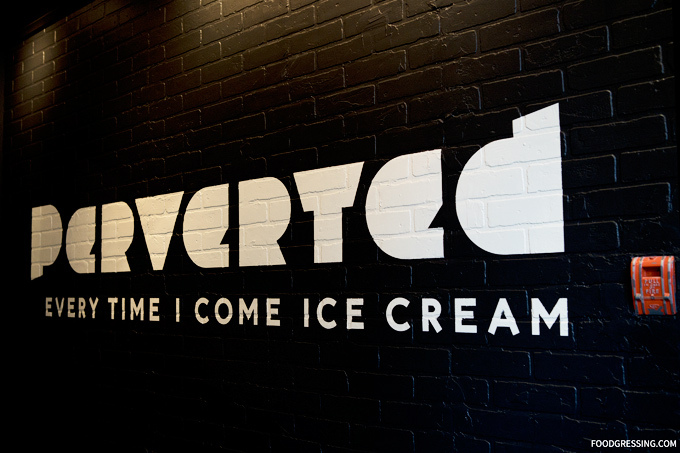 Newly opened is Downtown Vancouver’s sexiest (and perhaps naughtiest) ice cream shop, Perverted Ice Cream. Social media is abuzz about Perverted Ice Cream from their interesting, unconventional branding. I had heard about their “4 Days of 4 Play” promotion where all cones and cups were just $4 for the first four days of opening. I decided to give them a try especially since they are in my neighbourho0od. Here’s a look at my experience. Note: None of the food in this review was complimentary. Opinions are my own. 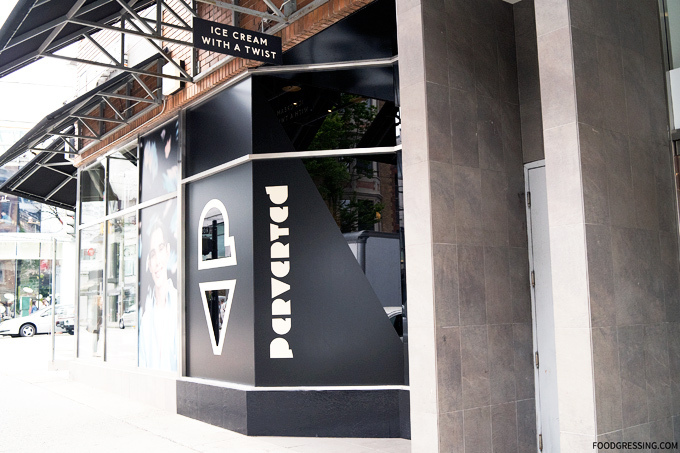 Located at the corner of Robson and Thurlow (797 Thurlow Street), Perverted Ice Cream takes over the former space of Cupcakes on Thurlow. 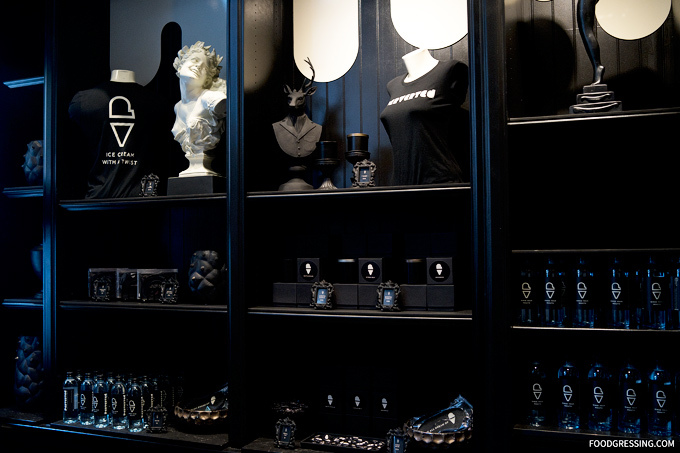 The shop will be open daily from 11 am until late. The shop may not be obvious from the outside to be an ice cream shop as the windows are tinted and covered (kind of like an adult store). 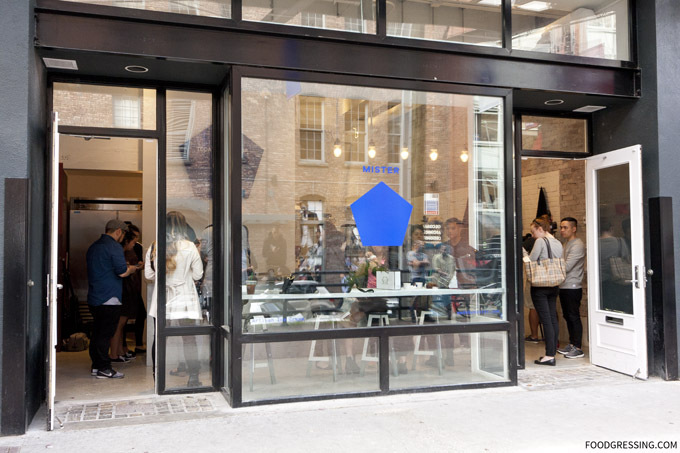 As I was taking photos of the shop’s exterior, I noticed a few passersby trying to peer in to see what it was about. They currently offer 4 rotating flavours and they post these daily flavours on their Instagram page. At the time of my visit, there was the Brand Spanking, Lemon My Fao, Cocoa Dependency and Matcha Macho Man. 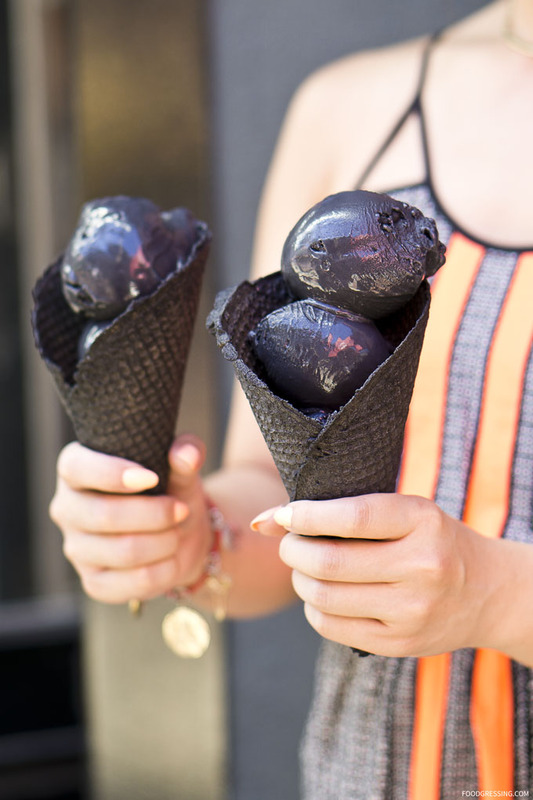 Their waffle cones are made from activated charcoal and are coloured black. 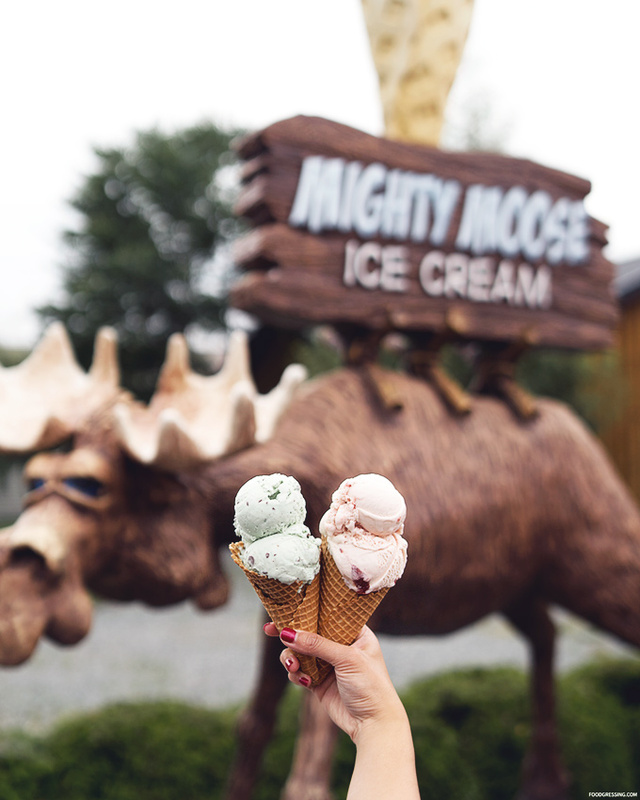 Aside from these signature flavours, you can also order a “naked” cone or cup, which is simply ice cream without any toppings. After the soft opening phase, you can expect a full menu and the prices to be at $6 for a cone or cup. I went with two of their cone options. On the left is the Cocoa-Dependency featuring chocolate soft serve, chocolate sauce, and chocolate). On the right is Brand Spanking (cream + chocolate swirl, black chocolate shell, perverted crumble, and black chocolate wafer). I really liked the toppings that were used such as the wafer which was nice and crisp and the crunchy perverted crumble. I did find that the ice cream was a bit on the thinner side and thought it would taste better being thicker and creamier. However, I read that their ice cream is made with organic milk and no artificial stabilizers. Since it has no stabilizers, that is probably why it melted so quickly in my hands. Messy as in, pass me the tissue and a lot of it. A lot, I tell you. I also found the waffle cone to be thin and that might have contributed to not holding up the rather quickly melting ice cream. 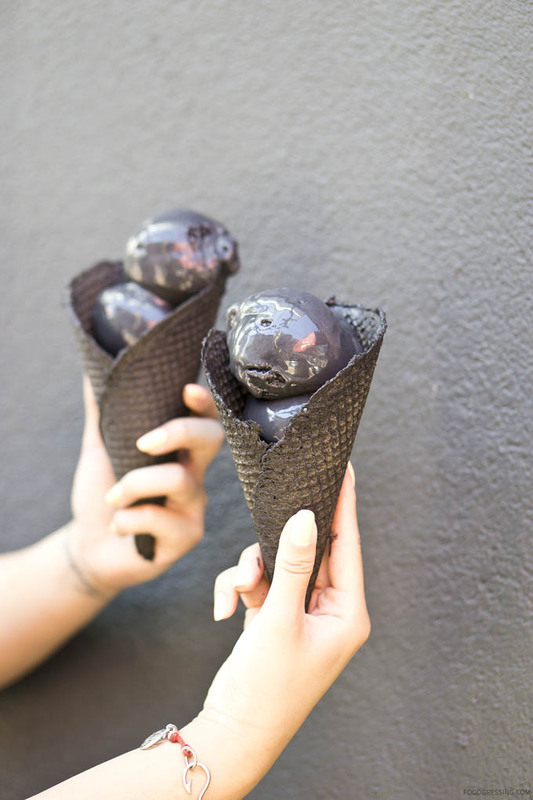 In comparison, the black, activated charcoal cone from Mister is much more robust and thick (see post here). 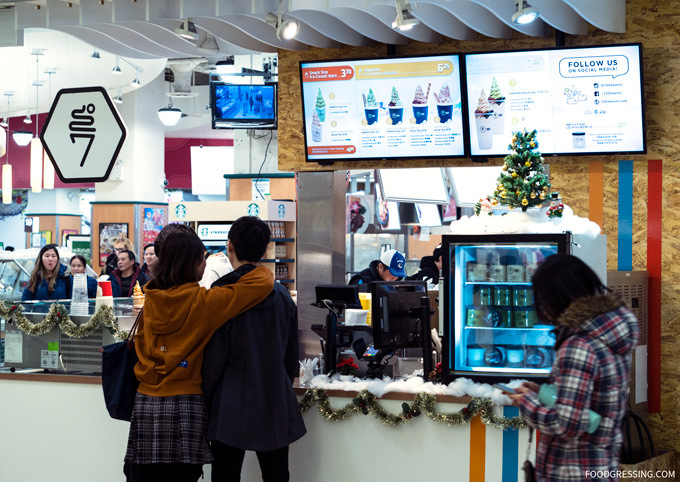 It’s no secret that UBC has been improving the food options on campus in recent years. 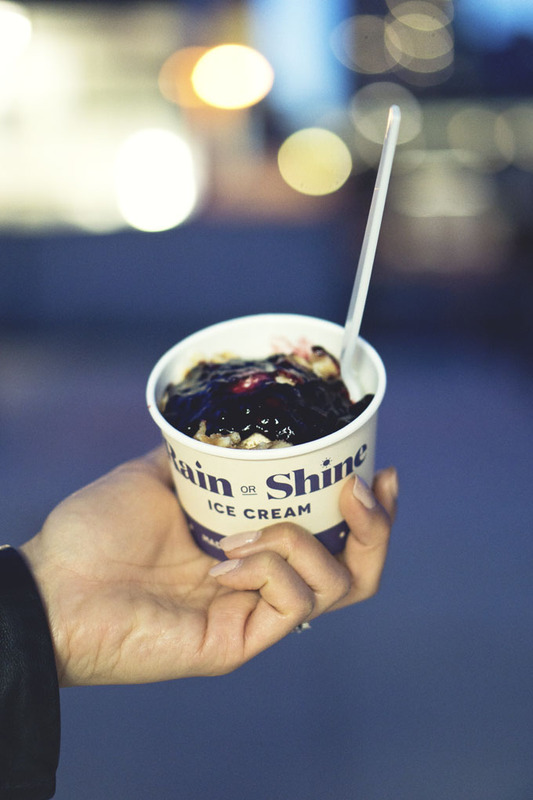 One of the most anticipated openings this past summer was the new brick and mortar location for Rain or Shine Ice Cream. How wonderful to be able to relieve from the stresses of academic life with a tasty scoop of gourmet ice cream! 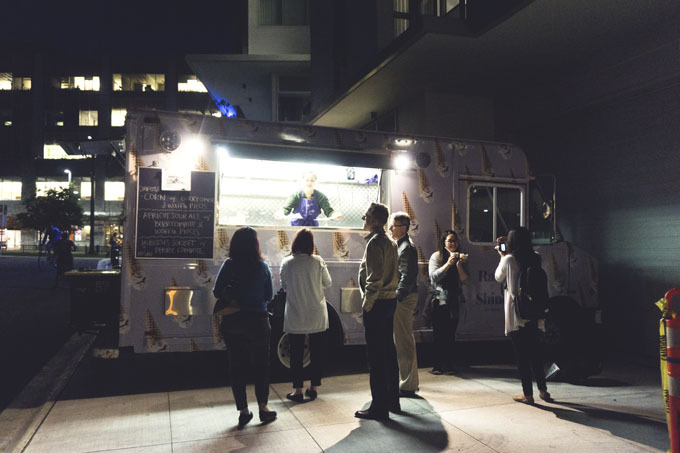 On last week’s Vanfoodster Tasting Plates UBC tour, I had the pleasure of enjoying Rain or Shine Ice Cream on campus but from their food truck which caters for special events. Disclosure: I attended the event as media. All food in this review was complimentary. Opinions are my own. 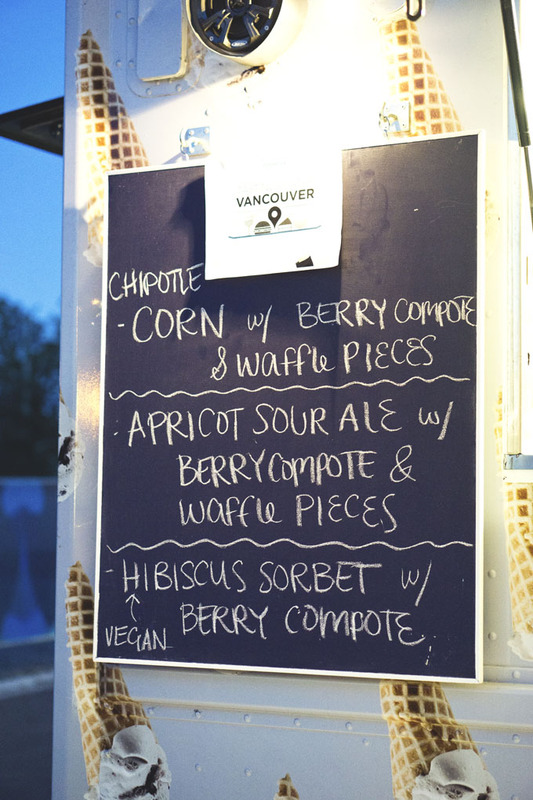 As part of Tasting Plates, Rain or Shine offered three flavour options: Chipotle (corn with berry compote and waffle pieces), Apricot Sour Ale with berry compote and waffle pieces, and Hibiscus Sorbet with berry compote (vegan option). As much as I enjoy Rain or Shine Ice Cream normally, the Hibiscus Sorbet with berry compote didn’t fit my tate. I liked the smooth texture of the sobert but it was just too sweet! And somehow the berry compote added a sour taste to the sorbet. It just wasn’t jiving with me. I sampled my friend’s Chipotle and it fared a lot better. Rich and creamy with some subtle sweet corn flavour and a hint of spiciness to it. Much better than the sorbet. What is this summer’s hottest food trend you might ask? Black ice cream! Yes, black ice cream and all it’s Instagram-worthiness is all the rage. 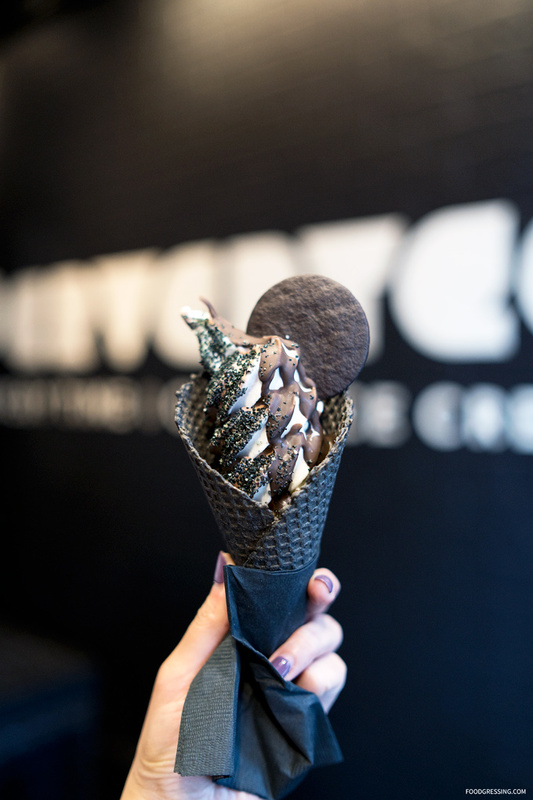 Yaletown nitrogen ice cream maker, Mister, is the first to bring black ice cream to Vancouver. Disclosure: None of the food in this review was complimentary by the business. Thanks Maggi (vieamaggi.com) for the treat! 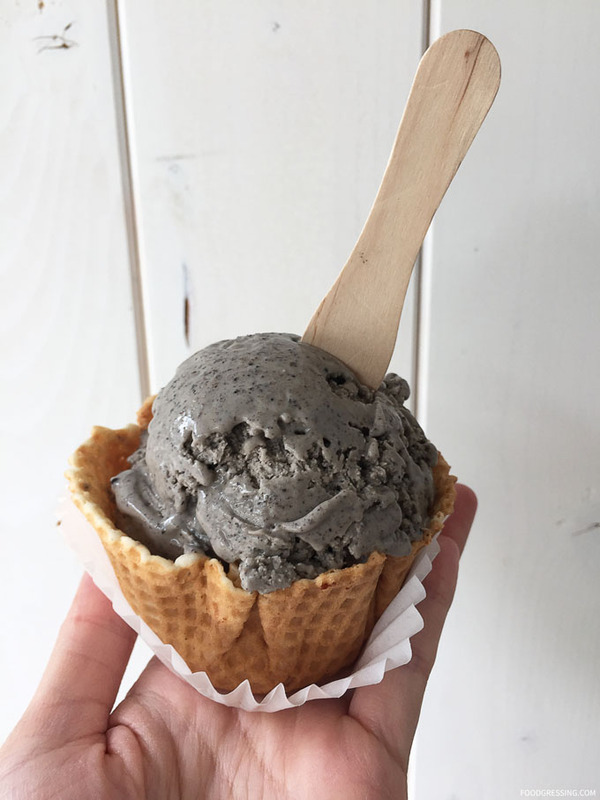 The flavour is actually black Coconut Ash ice cream and it is made from pieces of coconut that have been burnt and then ground into a fine, edible activated charcoal powder. The activated charcoal is then mixed with coconut bits, coconut milk and cream. The flavour also comes in a vegan variety which uses coconut milk instead of dairy. 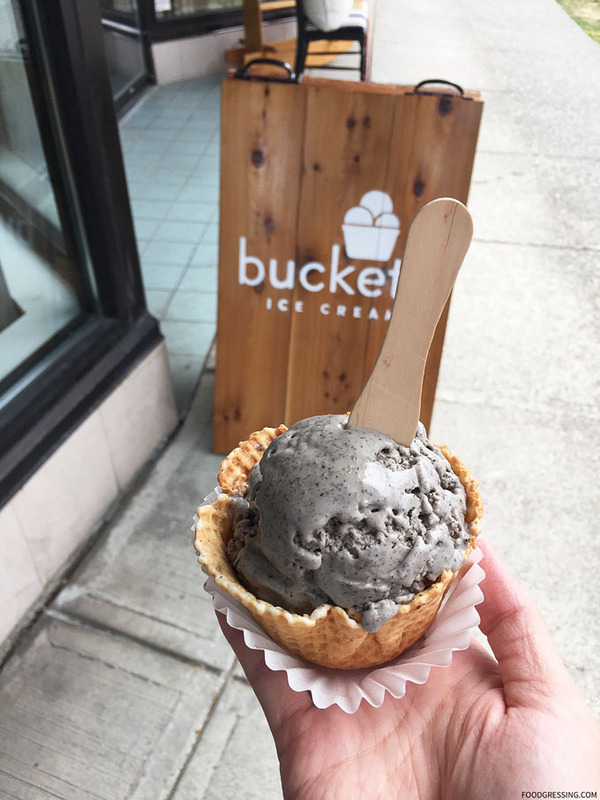 To complement the black ice cream, Mister has created a black waffle cone that is coloured black from coconut ash activated charcoal. I found the primary flavour of the ice cream to be coconut. It was ultra refreshing and not overly sweet at all. As for the texture, the ice cream was smooth and creamy due to the liquid nitrogen process. I didn’t find any dominant flavours with the black waffle cone; it tasted like a standard waffle flavour at best. A cautionary note: you will get a black tongue from eating the ice cream. I have quite enjoyed many of Mister’s products and the Coconut Ash flavour is probably now one of my favourites. If only they would make it as a pint as I would gladly take it home. I recommend trying the Coconut Ash flavour while supplies last. 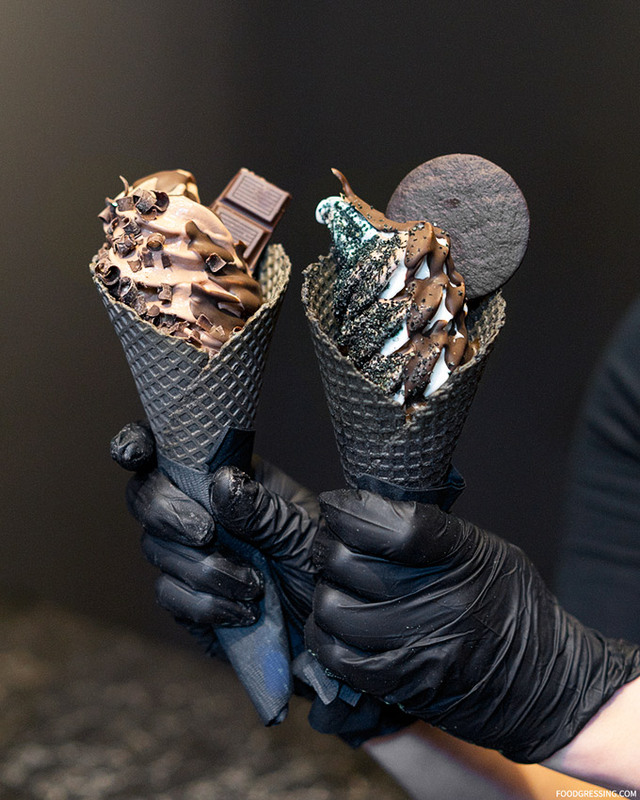 While Vancouver has numerous ice cream parlours, there are just a select few that are dedicated towards making ice cream with liquid nitrogen. 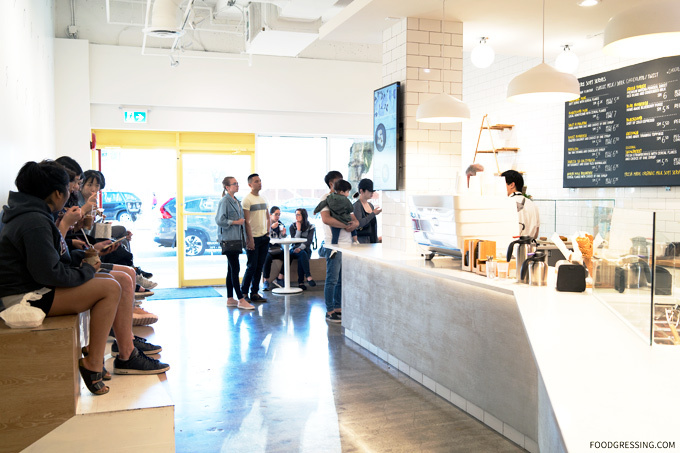 The first liquid nitrogen ice cream shop in Vancouver opened last year and was LIK N2 in the Stadium District; it is now closed and reopened as Gelato Express N2. Then came Mister Artisan Ice Cream in Yaletown which just celebrated their first anniversary. Magicream in Kerrisdale seemed promising with its 40+ flavours offered but the magic was shortlived as it has closed down due to a neighbourhood fire. 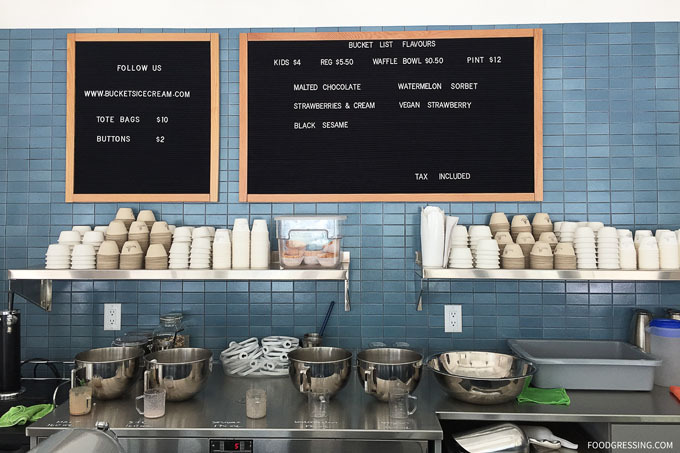 Newly opened in Mount Pleasant is the family-owned and operated Buckets Ice Cream. As an ice cream enthusiast, I was eager to check out their offerings. Note: This is not a sponsored post. This food in this review was not complimentary. I did not receive any compensation or incentive to share about my experience. The eatery did not know that I am a blogger. 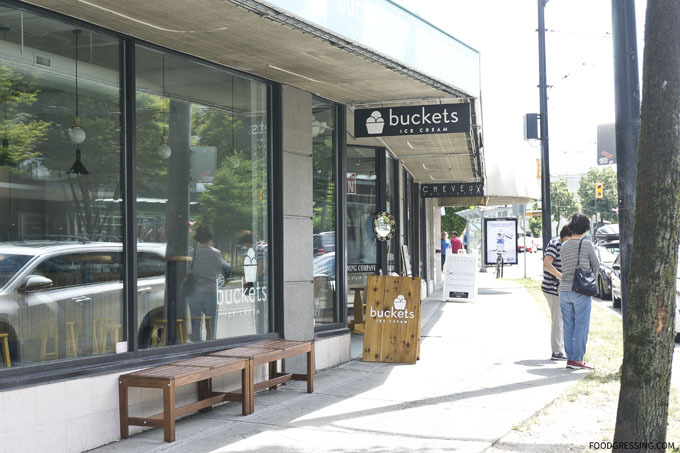 Located at 3330 Main St (between 17th and 18th Ave), Buckets Ice Cream is a small shop with minimal design. 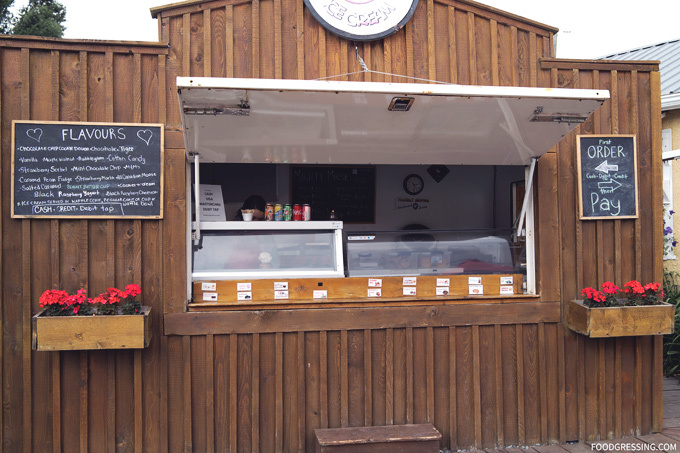 Inside were white pallet walls, two larger communal tables and a few high top tables. Bucket Ice Cream’s flavour offering is small and focused, but apparently they rotate through different flavours. At the time of my visit, there were just 5 flavours offered of which 2 are dairy-free. There was Malted Chocolate, Strawberries & Cream, Black Sesame and the dairy-free options were Watermelon Sorbet and Vegan Strawberry. 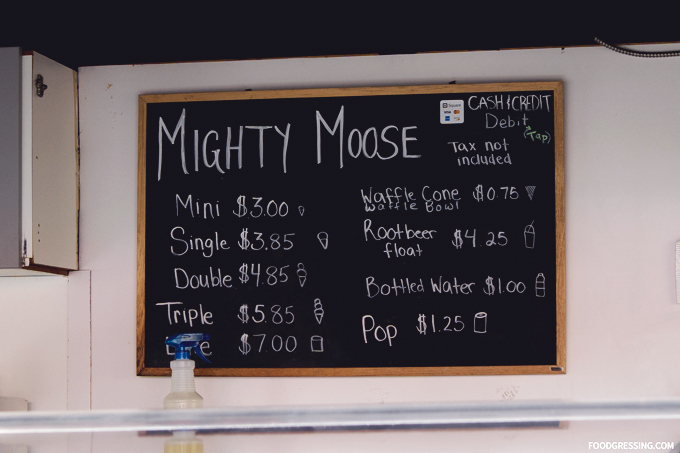 The ice creams are $5.50 and a waffle bowl is an extra $0.50. They also offer kids size ($4) and pints ($12). What they offer is plain and simply ice cream without additional toppings. I love Black Sesame and was excited to try it as a waffle bowl ($6 total). Here’s a look at the process in which the ice cream is made before your very eyes (except for the safety glass). 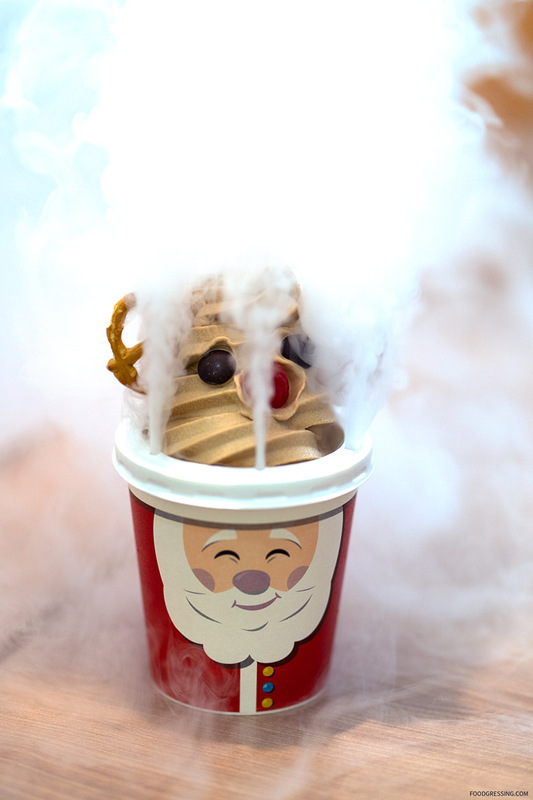 This involves liquid nitrogen being added to a liquid ice cream mix which freezes while a mist is emitted. Because liquid nitrogen is at -196°C, there is little time for ice crystals to form in the ice cream. 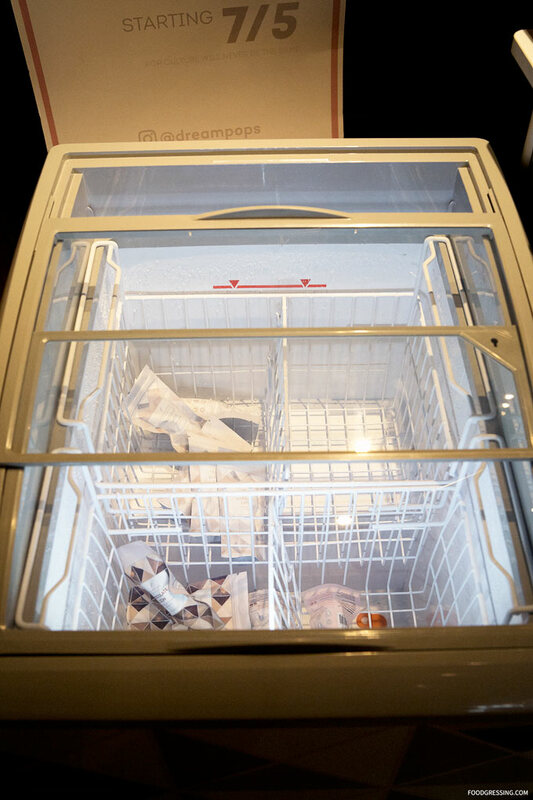 The resulting ice cream is a very smooth product without the use of stabilizers. The Black Sesame flavour was fantastic. Interestingly enough, it was a little seedy which means they didn’t grind the sesame to be super fine. I didn’t mind it as I thought it added to the texture. The ice cream was nicely smooth and creamy and I enjoyed that it didn’t melt very fast (unlike my experience elsewhere). The portion of ice cream given was good for the price and I did end up sharing it with my husband. What surprised me was how good the waffle bowl was; it was crispy, buttery and overall tasty. I highly recommend paying the $0.50 for it which is a reasonable price in my opinion.